Carthage is also home to one of the few surviving drive-in theaters left in America. During the hey-day of Route 66, there were countless drive-ins in operation along the old highway. 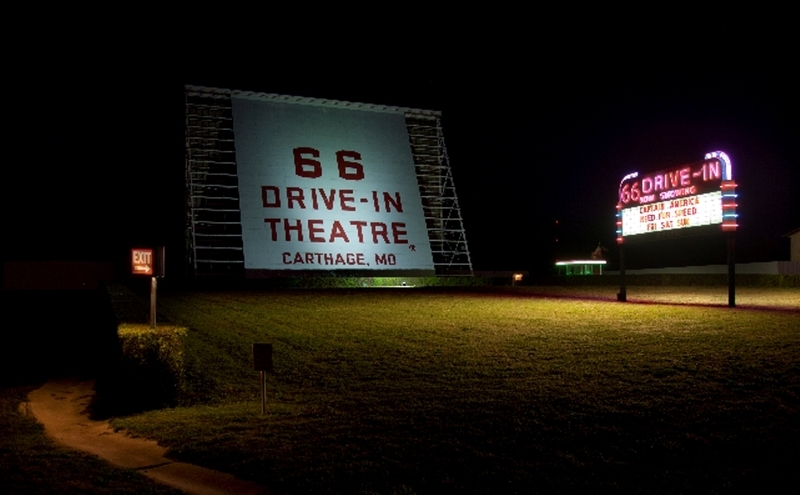 The 66 Drive-in is one of the last remaining drive-ins, and we are very fortunate to have this historical gem right here in Carthage operating every Friday, Saturday, and Sunday night all summer. Enjoy two family-friendly movies from the comfort of your car or bring lawn chairs! A great outing for less than the cost of one movie ticket at a typical movie theater!